Business expense management is one of the primary concerns of most small business owners. Money must be spent on many different things during any business day in order to keep the company running smoothly. These costs can quickly grow, hurting your bottom line and reducing your profits. Unfortunately, businesses are often the victims of employee theft, which can also contribute to substantial losses. By opting for employee expense cards instead of giving your employees access to petty cash or business checks for spending, you can keep your business’s spending in check. What are the employee expense cards at Bento for Business? In order to keep your business humming, your employees will need to be able to make needed purchases. Your business may need inventory tracking and ordering. You may have other employees who are tasked with paying the utilities and office lease. Some employees may travel around the city and need to purchase gas in order to do business. Employee expense cards are prepaid, refillable debit cards that allow you to designate the specific types of allowed spending. Your cards for employee expenses can be limited to specific purchases. Since you fund each card, they are limited in amount, and you can see what is being spent at any time with your employee expense cards. The employee expense cards from Bento for Business are debit cards, which means that they are not dependent on your credit. You can select as many as 10 expense cards for employees at just $29 per month. When you choose cards for employee expenses, you simply decide how much money to place on each card. You can then designate the categories of spending on each card according to your employees’ individual job duties. For instance, if you have an employee who must drive around town, you could deposit $500 on her card for gas purchases. If she attempts to purchase other items inside of a convenience store, her attempt will be declined. Expense cards for employees can be a great way to prevent employee thefts, but it is important that they are secure. 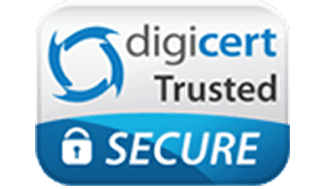 Bento for Business uses the highest level of SSL-encryption so that you can feel confident that your money is protected. For more peace of mind, funds held within Bento are FDIC insured to at least $250,000 through The Bancorp Bank; Member FDIC. When you order our cards, you will be able to instantly see what your employees are spending at any time on our interactive dashboard. If you spot problems or lose a card, you can turn the card off instantly with a click. Cards for employee expenses can help your business to save a substantial amount of money while preventing thefts. Bento for Business cards are Visa®, allowing your employees to spend money across world everywhere Visa® debit cards are accepted. 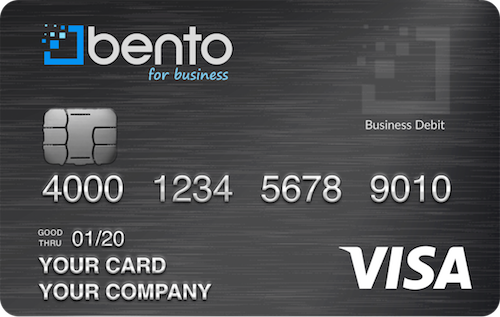 Get your employee expense cards from Bento for Business today! Start your free 60-day trial now or call us at 866.220.8455 to learn more about how we can help you.